A staircase, balcony, or terrace, though all beautiful additions to any home, are incomplete without the effortlessly elegant addition of a balustrade. Though you may not be very familiar with this term, a balustrade is a row of small columns topped by a rail. Call us on 010 312 6165 for a FREE Quote! First invented in Italy and named after the blossoming pomegranate flower, balustrades are most commonly seen accompanying staircases, balconies, or other such architectural pieces that are deemed “dangerous”. At JHB Builders in Johannesburg, we offer the largest selection of gorgeous balustrades at reasonable cost! See below for our product descriptions and balustrade prices. 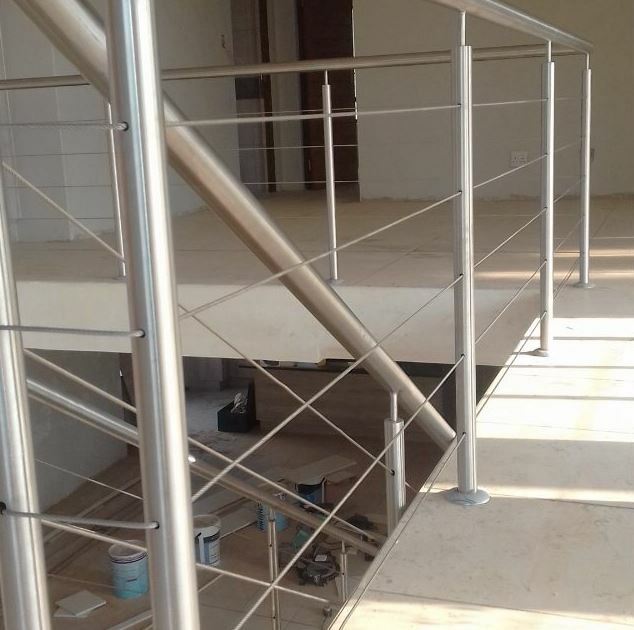 Our stainless steel balustrades Johannesburg are often used in corporate office buildings, banks, malls, and in many other highly-trafficked areas. 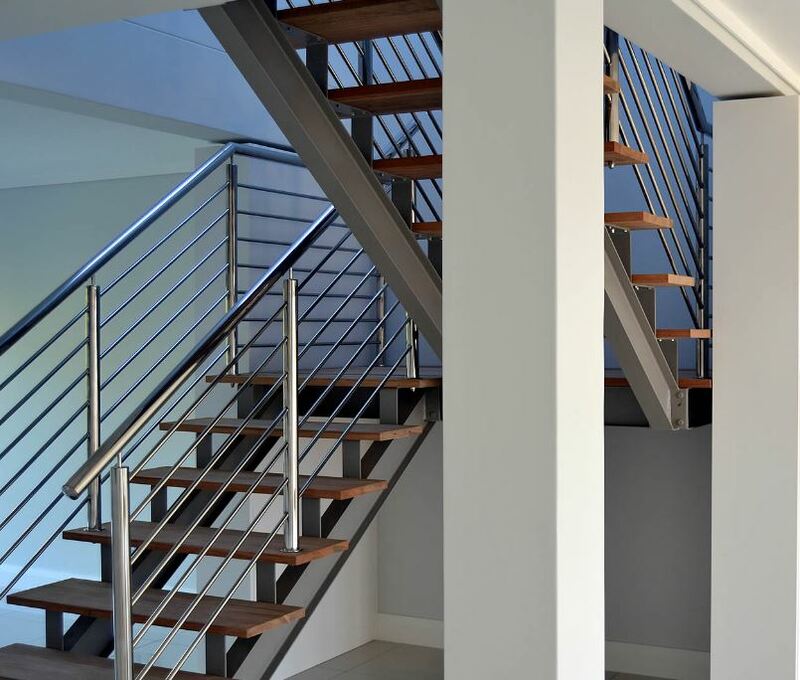 The benefit of having stainless steel balustrades Johannesburg is that they are built tough in order to last longer. Their sleek design fits in easily with any decor theme or color scheme and are meant to endure a lot of wear and tear. Johannesburg glass balustrades often look more like windows than railing, which is exactly the way they were designed to be. These balustrades can often be seen protecting tourist attractions – they allow people to see the gorgeous view without having to worry about the danger of becoming part of it! Concrete balustrades are usually placed in outdoor settings – gardens, patios, walking paths, etc. They are built from one of the toughest man-made materials in order to resist all kinds of wear and tear both from people, animals, and the weather! Concrete balustrades are built to last. Get quotes on all our balustrades prices. Aluminum balustrades are often placed in apartment buildings, hotels, and other such industrial areas. The appeal with aluminum is that its sleek design fits in with many different decors while remaining completely durable. Wooden balustrades in Johannesburg are often seen in older homes, cabins, patios, porches, and decks. In addition to being tough by design, they offer a very unique and tasteful look which is why they are not placed in industrial buildings, but instead by specific design. In addition to the installation of balustrades, we also sell, build, and install staircase balustrades in Johannesburg of many different kinds and colors! After all, what is a balustrade without something to protect? We cover most of Johannesburg, but our main focus are Fourways, Broadacres, Lonehill, Bryanston, Sandton, Rivonia, Rosebank, Melrose, Parktown, Randburg, Randparkridge, Fairlands, Northcliff, Craighall Park, Hyde Park, Parkmore, Woodmead.